What appears to the be first screenshot from Dead Space 3 has surfaced online. It shows a character propelling themselves through a planet's orbit in one of the series' trademark armoroued suits. Once again, the game's HUD is displayed on the character's back. The image (posted by VG247) looks to originate from the series' official EA site, which currently shows a countdown written in an alien language. Translated, the numbers points to next Monday, when EA will hold its E3 press conference. Yesterday that site also began teasing a new Dead Space graphic novel short, which looks like it will tie-into Dead Space 3. The existence of Dead Space 3 comes as no surprise. 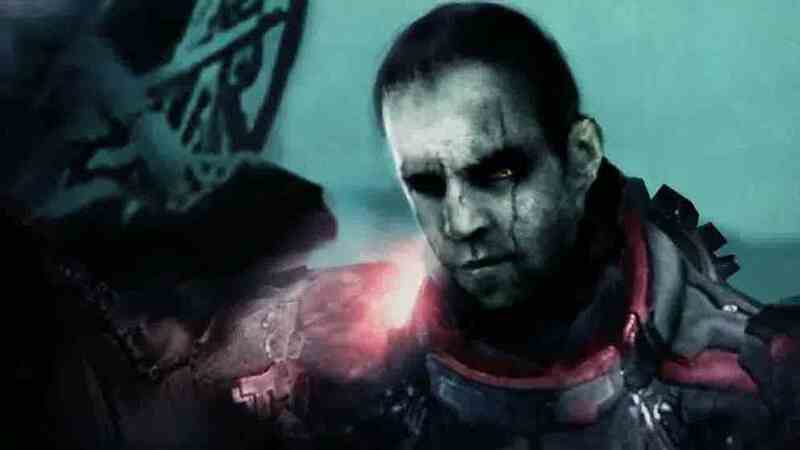 Continual leaks over the past year have revealed it will be partly set on an ice planet, tie-up the story of series star Isaac Clarke and feature drop-in, drop out co-op. Expect to hear more at E3 next week.